This has been quite a busy week in the world of celebrity and luxury real estate news. Starting off in Miami with the famous Versace Mansion which came to market this week for an astounding $125 Million Dollars. 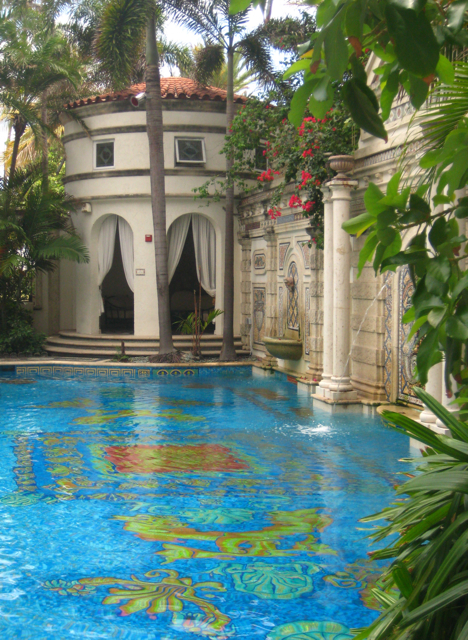 Casa Casuarina as it’s best known world wide, was the dream home of late Italian designer Gianni Versace. As we all can remember, Mr. Versace was killed outside the home in July 1997. Three years later after Mr. Versace untimely demise Peter Loftin, a telecom entrepreneur, purchased the property in 2000 for $20 million. The Miami Beach castle, created by Gianni himself, is on two Atlantic facing sites on Ocean Drive in South Beach, and was built on the former sites of an art deco hotel that had to be demolished to accommodate for his swimming pool and a Mediterranean revival apartment building that became the house. Casa Casuarina is a unique property located in South Beach on Ocean Drive in a rather touristy area and with it’s ambitious $125 Million asking price it will be setting the record for the most expensive residential listing in Miami history. Coldwell Banker’s powerhouse duo “The Jills,” Jill Eber and Jill Hertzberg, are representing the current owner in the sale. Traveling up along the coast to Pompano Beach, Florida…Miami Heat forward Mike Miller is selling his gigantic Pompano Beach mansion at auction on June 30th. Miller bought the 8-year-old waterfront pad for $5.4 million in 2010. Mr. Miller originally listed the property for $9 million, and it was eventually reduced to $7.995 million according to Realtor.com. The Sun-Sentinel reports the home isn’t in any financial distress; Miller just decided auction was the best way to sell. The home features six-bedrooms, 10-bathrooms and will be up for absolute auction on June 30th with no minimum bids, according to auction house Platinum Luxury Auctions. Continuing our tour of South Florida priciest pads…Shepard Osherow, co-founder of investment research firm Sanford C. Bernstein & Co., is trying again to sell his spectacular Highland Beach penthouse condominium. 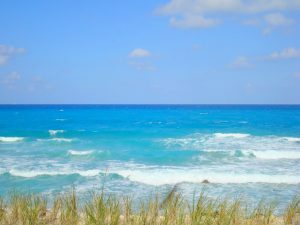 Highland Beach is an affluent small town encompassing 1.1 total square miles and is bordered on the north by the City of Delray Beach and on the south by the City of Boca Raton. 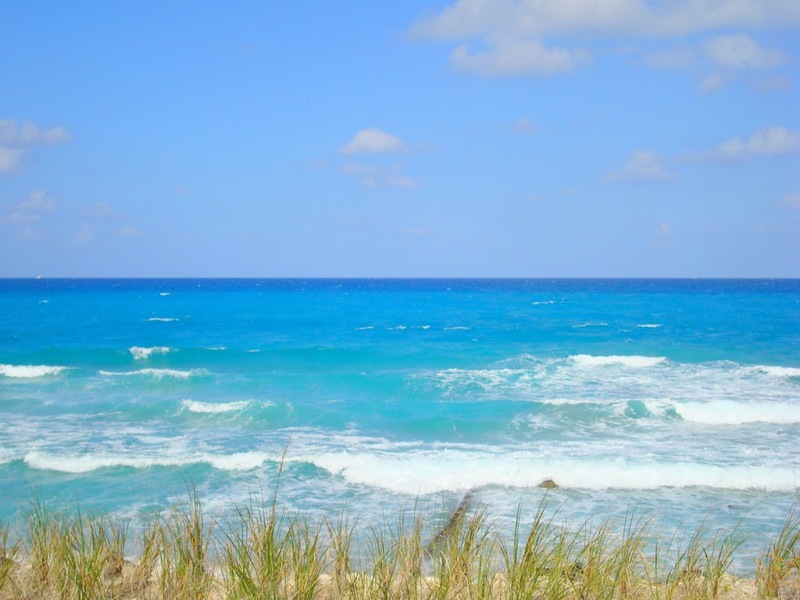 Highland Beach is a residential community with a year-round population of 4,150 which increases to approximately 8,500 during the winter months by residents who list their northern homes as their official place of residence. 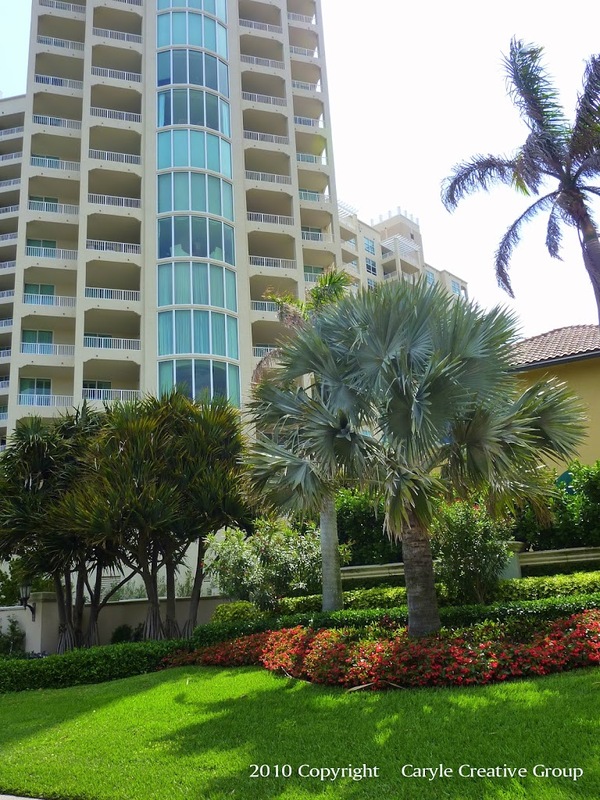 Located on the top two floors of the Toscana North condo, this “mansion in the sky” is currently listed with Senada Adzem of Douglas Elliman at $9.85 million furnished. The five-bedroom residence incorporates four penthouses and has nine terraces. Featuring 9,290 square feet of living space, it’s the largest penthouse condo on the market in Palm Beach County. While the rest of the celebs are trying to sell their posh pads, this week casino mogul, Steve Wynn closed on what will go down in the record books as the second-most expensive sale of a Manhattan apartment in history! According to the Wall Street Journal, on Monday, Mr. Wynn paid $70 million for a 10,882-square-foot apartment with 14 rooms and an 80-foot terrace facing the park at 50 Central Park South above the Ritz-Carlton hotel. Creating a flurry of real estate activity in the ultra high end market in Manhattan. A few other properties closed or went into contract within hours and days. Indicating the need for luxury real estate holdings in Manhattan are still hold strong for the top-tier of wealthy Americans and affluent International buyers. Continuing up the east coast into Greenwich luxury real estate, I came across an obscure post that a property just transferred ownership in the stately enclave of Belle Haven in Greenwich, Connecticut for $20 Million Dollars. The property located at 136 Field Point Circle was sold on May 18th to 136 Field Point Circle Holding Co. LLC. Belle Haven will forever be infamously linked to the Kennedy clan, the Skakel brothers and the Martha Moxley Murder in 1975. The Skakel brothers were the nephews of Ethel Skakel-Kennedy, widow of the late Senator Robert F. Kennedy. 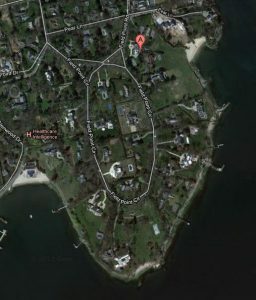 The Moxley and Skakel families lived in Belle Haven, a gated community in Greenwich, within an affluent area of town where Hollywood actors live and former President George Bush grew up. Today, the Greenwich Time newspaper describes Belle Haven as home to not one but two billionaires and some of Greenwich’s most elegant and priciest real estate. 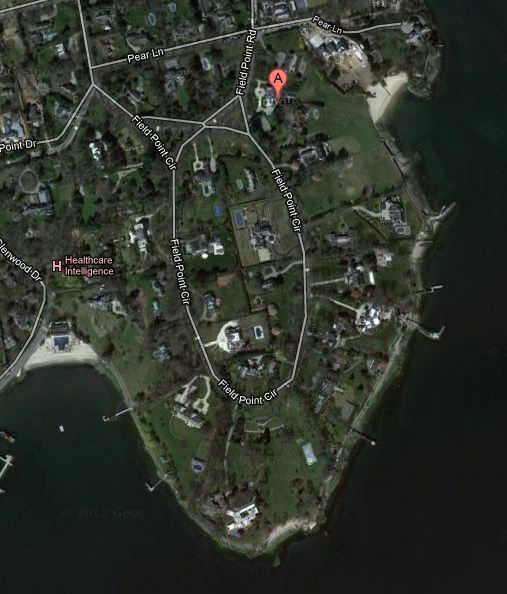 This private waterfront community within Greenwich has long been an exclusive enclave. Around the turn of the last century, wealthy New Yorkers were transforming the Greenwich potato farms into large summer estates to escape the heat of New York City. Belle Haven with its exquisite views across Long Island sound and proximity to the train became a highly desired location for grand summer homes. Mr. Bijan as I affectionately called him, was once my former employer many years ago when I lived in New York and worked for him at his Fifth Avenue Boutique. His elegant style and joy for life was intoxicating whenever he was in the boutique, his laugh was infectious and I will always remember him fondly for all the years I worked for him. Listing information indicates the property was built in 1993, the gated Italianate villa is a “showcase of his style” with bold primary color interiors, monochromatic-themed rooms and a chandelier made of his signature perfume bottles in the formal dining room. The 12,016 square feet of living space includes a marble-counter bar in the family room, a sweeping central staircase, a step-down living room, seven bedrooms and nine bathrooms. There is subterranean parking for more than 20 cars. From the look of the pictures of the property it is quintessential Bijan! 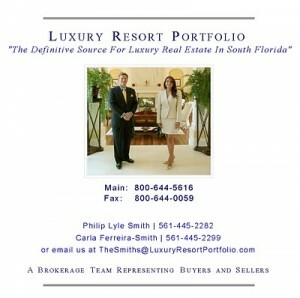 This entry was posted in Luxury Real Estate News on June 15, 2012 by Luxury Resort Portfolio.